My name is Angelina and I happily blog over at JoJo and Eloise. 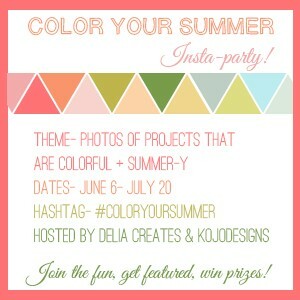 I am so Excited to be a part of Color Your Summer. What an Awesome idea for a series. I mean who doesn’t LOVE Color, Right?? I am sure you’ve guessed, that my color of choice was ORANGE. I Love Orange but I don’t typically do a whole lot of work with it on a Whole. So, when I saw it as an option, I quickly snapped it up. This project was joint effort. I made it and my daughter designed it. We first started out with a YUMMY selection of fabrics. She has been wanting a Circus Themed outfit for some time now. So I thought this would be the perfect opportunity for that. I laid out all the fabric and asked her what she was looking for. Clown like Pants with Suspenders, is what she told me. I immediately thought, what a CUTE idea. She wanted the Orange Gingham as her Pants and the teal as her suspenders. This girl knew EXACTLY what she wanted. To make things easy, I just used a pair of her Bloomers as my pattern. I sewed the pants together and added elastic to the Back. You can see more on that HERE. She picked the Teal for her Suspenders. We cut 4 different Strips 2 at 5 inches wide and 2 at 7 inches wide. We weren’t sure which width we wanted but settled on the 7 inches. We folded them in half and sewed RIGHT sides together leaving the ends open for turning. I top stitched them with an ORANGE thread, then sewed them to the BACK of the pants. I made button holes on the front of the PANTS and sewed buttons to the SUSPENDERS. With some of the extra ORANGE gingham I mad an over sized bow. With the plain ORANGE, I made a Clown Ruffle. I LOVE how this outfit can be worn for everyday wear. And, it can also be easily accessorized for going to the CIRCUS! She is OVER the Big Top, with her little creation. I am so in LOVE with how much she has grown in her Creativity. This is going to be a GREAT summer for her and I. As, we continue to COLOR our SUMMER with fun and creativity. Thank you so much ladies for having over. Wishing you a Calm, Cool and Creative Summer! I adore this girl, and her blog. 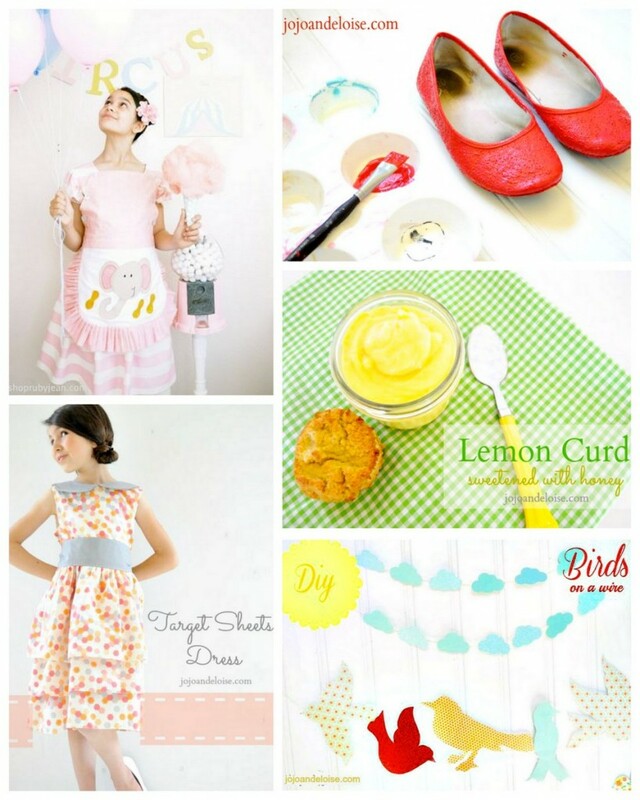 Go say hi at Jojo and Eloise- check out this lemon curd recipe, these supercute birds on a wire, her fantastic June Bug remix, these fabulous upcycled shoes, and this dress from Target sheets. 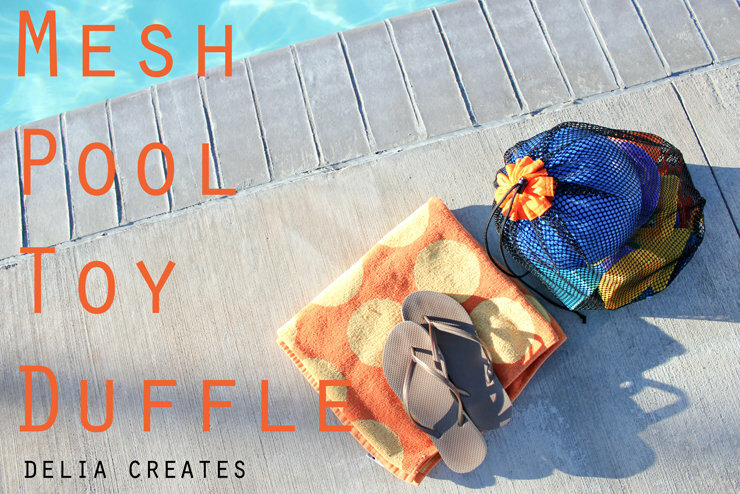 Also, be sure to check out Delia Creates- she’s sharing an orange mesh pool bag tutorial today! color your summer three- it’s coming!